When you make the Long Day of Gaming Latte, or really any tasty coffee at home, it’s nice to have milk froth. 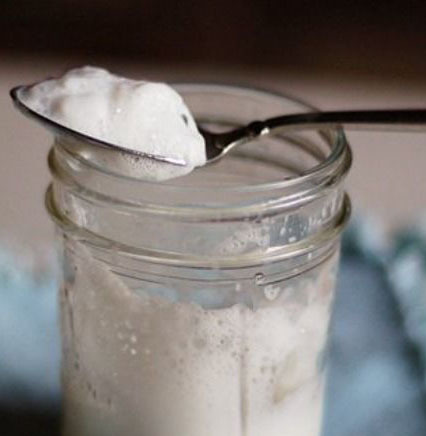 You don’t have to have a fancy machine to have milk froth at home! You can have it with a mason jar and milk. This is one situation where skim milk or low-fat milk is NOT your friend. Don’t try this at-home microwave method with skim or low-fat milk. It just doesn’t work. You will need a mason jar, or some kind of microwavable container with a lid. Pour your milk into the jar (use as much milk as you would normally put in your coffee). Shake for 30-60 seconds - until milk is all froth and bubbly. Place in microwave for 30 seconds. The froth will rise to the top of the milk and the heat from the microwave will stabilize it. Spoon the milk foam top. Use the warm milk as you wish.